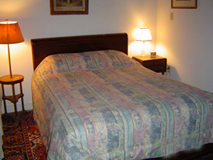 The Farm on Mad River bed & breakfast rooms provide guests with a Vermont experience unequaled in beauty and hospitality in all seasons. Whether your desire is a relaxing vacation in the Green Mountains in the height of summer, a family ski vacation in Vermont in winter, a destination wedding in the country that your guests never forget, or a romantic, weekend getaway, The Farm on Mad River is one of those special places in the world you'll find hard to leave. All B&B rates at The Farm include a hearty country breakfast served until 10 a.m. each morning. 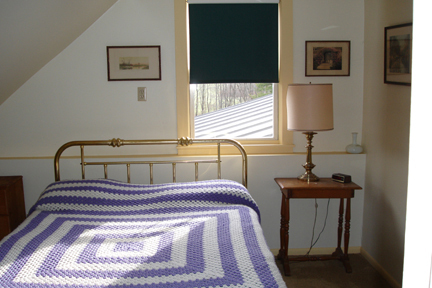 The Farm features four comfortable bedrooms with shared bath on the upper floor and one room with private bath on the lower floor. 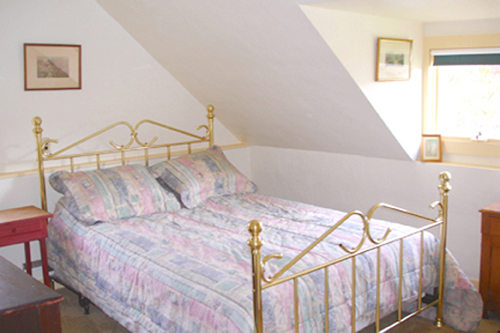 The ground floor accommodation can be converted into a suite accommodating four people. CLICK HERE to view our floorplan in .pdf format. We’ve created a Modified American plan, which is available to tenants renting The Farm under four bedroom unit accommodation plan, this includes breakfast and dinner. CLICK HERE to view our Sample menu in .pdf format.